DC’s coffee scene is as diverse as its population. There are neighborhood hangouts, froufrou cafes, gelato parlors that will add extra joy to your brew, and full-service eateries complete with all the bells and whistles. 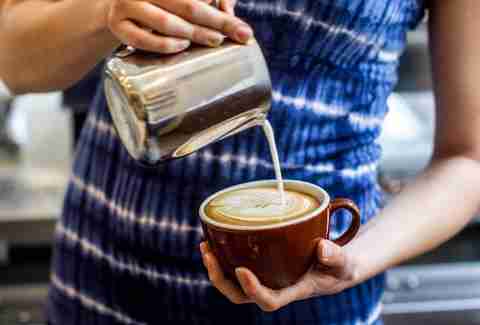 Whether you’re a diehard single-origin advocate, a fan of elaborate latte art, or a wandering Wi-Fi seeker, you’ll have no trouble finding a local District coffee shop to call your home away from home. Here are the city’s best places to fuel your most socially acceptable addiction. Coffee is a ritual. This was especially true for two former Marines who bonded over definitely-not-third-wave coffee during deployment in Afghanistan. When they returned home, they decided to channel their appreciation for good coffee by opening a shop and roasting their own beans. Their production facility sits at the back of the spacious and naturally lit cafe, so your beans have the shortest commute ever from the carbon-efficient roaster to your cup. Compass opened its second location in The Shay last year, and has plans for a spacious new cafe in Ivy City. The team travels around the world to source beans from small farms, and their hard work pays off. You can choose from one of nine carefully crafted blends or a single-origin coffee, and highlights from the accessible drink menu include the Nutella latte and the mint cold brew. Don’t miss the other locally sourced goods, like kolaches and kombucha. This place has communal tables, and you might get a visit from the very approachable owners... or you can just buy a bag of beans so you can brew the perfect cup at home. When you’re looking for a great cupcake to accompany your coffee (so... always? ), Baked & Wired has got you covered. This artsy shop’s house-made baked goods are whimsically named (ahem: "Uniporn and Rainho" cupcakes) and its "cakecup" description acknowledges that these bad boys are “Big enough to share, but who are you kidding?” It has a typical selection of espresso and coffee drinks, all of which are adroitly prepared with beans from Stumptown, Intelligentsia, PT’s, Elixr, and other places that know the coffee bean business. It also serves microbrewed chai from Oregon, so you can get down with your hipster self. One word: affogato. Any place that lets you sweeten your espresso with gelato is automatically a win in our book. Dolcezza is known for its creative seasonal gelato flavors, but the coffee program is also the real deal. 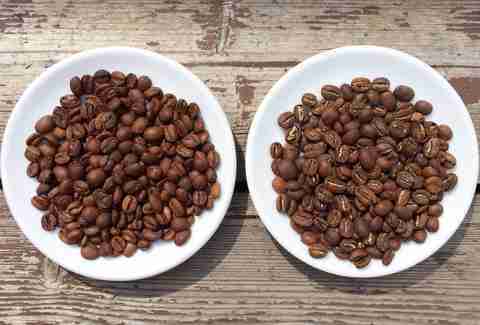 It sources beans from Stumptown Coffee Roasters, and offers a full roster of espresso drinks and single-origin drip or pour-over coffee. For a treat that feels way more indulgent than it is (nope, not a scoop of gelato dunked in espresso, sorry), check out the nitro cold brew at the CityCenter location. The creamy, nitrogen-infused drink looks more like a Guinness than a coffee. 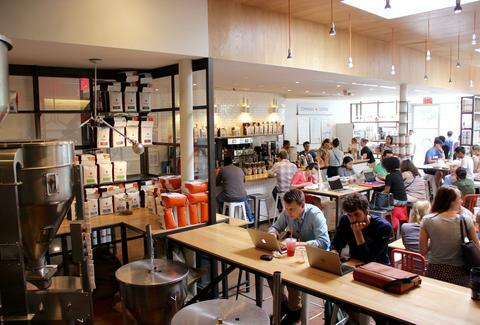 It’s the model of efficiency: shop, sip, and eat without leaving Maketto. 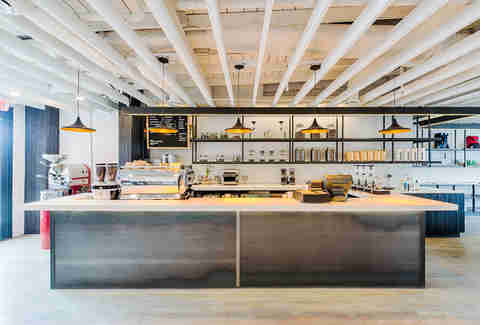 Erik Bruner-Yang’s cafe-restaurant-bar-retail hybrid is a modern minimalist’s dream. 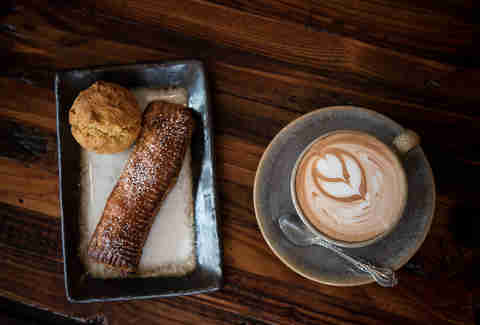 But it’s not just a stylish spot: the Japanese-inspired cafe serves Vigilante Coffee and fresh pastries baked in-house by Frenchie’s Bakery. Gain some cool points by drinking coffee from the fascinating siphon bar, which was the first of its kind on the East Coast, then go buy some shoes, or order Taiwanese/Cambodian breakfast or lunch. Peregrine Espresso doesn’t mess around with its coffee. Owner Ryan Jensen is a career coffee addict, having worked for various coffee companies since his first stint in a coffee shop in college. He and his staff have won plenty of awards in barista competitions, and it shows. 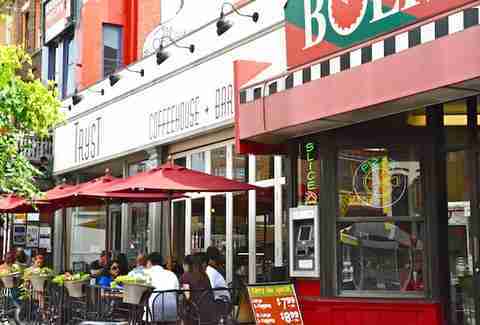 The local chain has infiltrated the city, with locations at Eastern Market, Union Market, and 14th Street. It sources Counter Culture Coffee for its espresso drinks, single-origin filter drip, or pour-over coffee. For java geeks, private coffee classes are available at the Union Market location: each class is limited to four students, and topics include espresso fundamentals and better brewing at home. Aaron Silverman’s new luxury tasting menu restaurant has a casual alter ego that’s as flawless as you would expect. Open during the day Tuesday through Saturday, the coffee bar is stocked with beans from Parlor Coffee, as well as breakfast pastries (including a pineapple roll, natch) and a few savory options for lunchtime. You can also get a little bougie with pistachio or hazelnut milk in your espresso drink. Beware that there’s no seating for the coffee shop, so you'll have to grab the goods and go. Qualia Coffee roasts its single-origin coffee in-house, and makes an effort to teach customers about the unique qualities of beans from different locations. It hosts free coffee tastings on the second and fourth Sunday of every month at 2pm, letting customers try three coffees side by side. Prepare your palate and head to the roasting room at the back of the shop. If you plan to stop by on a weekend for your freshly roasted and brewed cup of joe, note that the shop does not offer Wi-Fi on weekends or federal holidays, instead encouraging guests to socialize or engage in other non-screen-related activities. This new addition to the neighborhood morphs from a coffee shop into a restaurant and bar as the day goes on. Starting at 7am on weekdays and 8am on weekends, you can take your mobile office to the perch on the second floor, to get a bird’s-eye view of the gradual transformation. Of course, you’ll need plenty of Counter Culture Coffee drinks, tea, or matcha. Breakfast, lunch, and dinner are served all day, so you can order a fresh arepa, a wood-grilled avocado, or a house-made sausage any time you please. Once it hits an acceptable hour (say… noon? ), try the vermouth on tap. This neighborhood coffeehouse, bar, and lounge is a beloved DC institution. Unfortunately, that means you have to compete with everyone else who also loves the homey joint (and the free Wi-Fi). But it’s worth it for the no-nonsense coffee menu featuring Counter Culture beans, the organic tea selection, and the fairly extensive breakfast and brunch options. It alsos serve beer, wine, and cocktails in the evening. After two successful pop-ups, The Wydown put down roots and opened an industrial, mod brick-and-mortar on 14th Street. 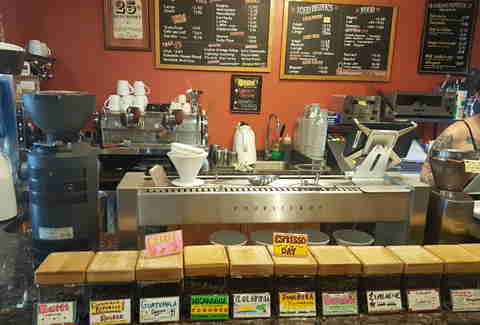 Its short and sweet coffee menu includes well-made basic espresso drinks, drip coffee, pour-overs, and teas. There’s also a rotating assortment of house-made baked goods, including scones, cupcakes, and cookies. The walls are adorned with abstract coffee-splatter art, and the modernized 1970s Faema espresso machine is a unique attraction. Follow this spot on social media for details on periodic free coffee tastings. Lani Furbank is a freelance food writer who never turns down coffee, gelato, or cupcakes... and can’t be friends with people who do. Follow her on Twitter and Instagram @lanifurbank, or read her blog at www.LanisCupOfTea.com.